The LEGO Hero Factory is the place where heroes are made, and your passport to a world of adventure and learning. Dispatch the robot heroes to fight villains, solve crises and restore peace across the universe! Each robot is very easy to build with big, intuitive pieces that are easy to assemble, mistakes are easily fixed, so more time can be spent playing and inventing new stories. Each play set is durable so they can survive hours of robust play and be endlessly rebuilt. 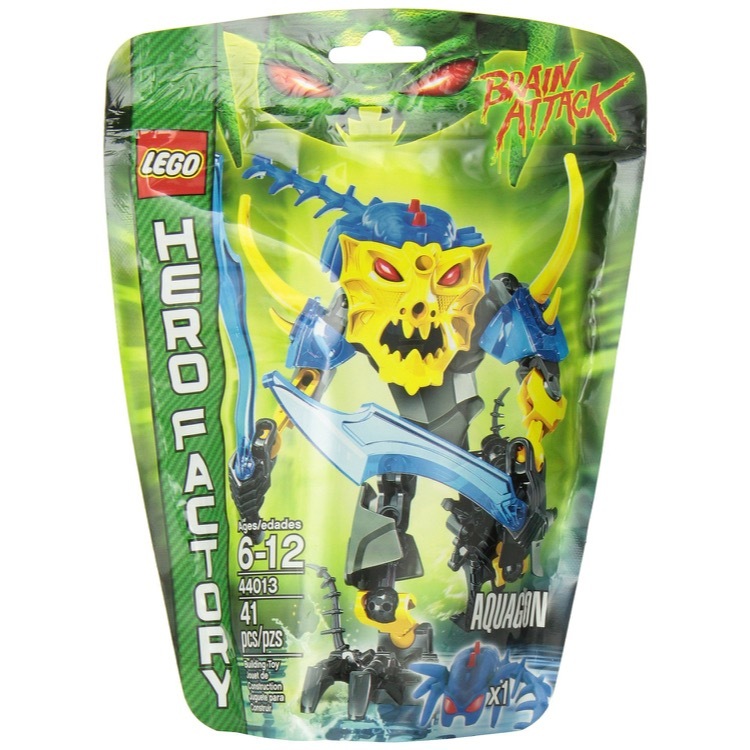 This is a BRAND NEW foil bag set of LEGO® Hero Factory 44013 Aquagon from 2013. This foil bag set is still factory sealed and in very good condition. 41 pieces and no minifigures©. This is a BRAND NEW set of LEGO® Hero Factory 6231 Speeda Demon from 2012. This set is still factory sealed, however the box you receive may have one or more of the following conditions; small area of sticker damage, wrinkles, creases, dents and shelf wear. 192 pieces and no minifigures©.